Bombing tower detail. Historic Duxford. Detail of bombing tower reconstruction illustration. Bombing tower illustration. Historic Duxford. Bombing tower reconstruction illustration on display board with actual tower in background. How to salute. Historic Duxford. Curator Carl shows visitors how to salute correctly. Sir Douglas Bader. Historic Duxford. Illustration used in the development of the exhibition. 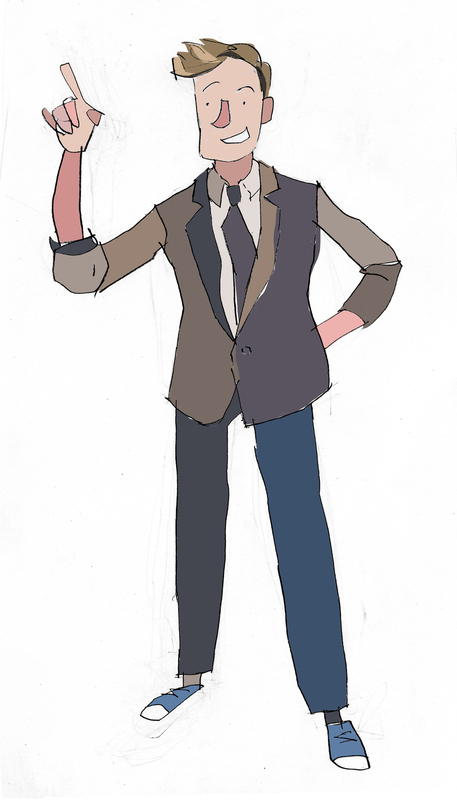 Curator character used to guide children through the exhibition. Queen Henrietta buys some soldiers. National Civil War Centre. 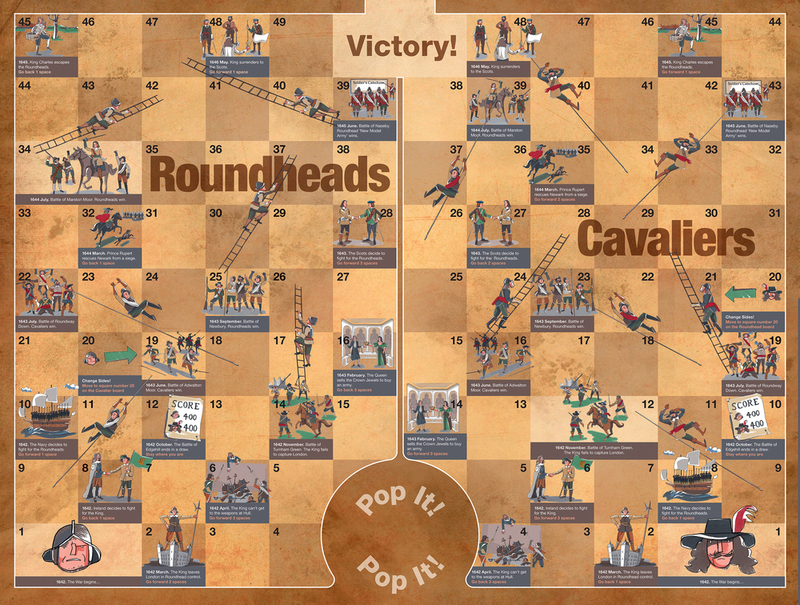 Image used as part of an interactive board game exhibit, 'Pikes and Ladders'. Celebrating Muskateers. National Civil War Centre. Prince Rupert to the rescue. National Civil War Centre. Fleeing Roundheads. National Civil War Centre. 'Pikes and Ladders' board. National Civil War Centre.